New York State is having another crack at online poker. 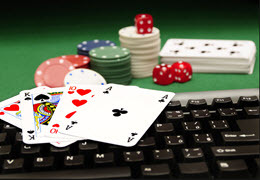 This would be the third time that the state has tried to legalize online poker in recent years. It’s no surprise as to why assemblyman in the state keep on proposing bills which would allow for legalization, allowing for online poker in the state would cause for major amount if income to be brought into state. This in turn could then be used for a variety aspect around the state such as infrastructure, public programs and more. Unfortunately, the bill falls on the courts whom has full approval over what is best for the state. The New York Court of Justice has continued to deny approval for the last several years, even knowing that there’ll be millions upon millions spent on the new form of entertainment. Every year alone those in NY go spend $1 Billion on poker out of state. This is money that could be poured back into NY & provide a wealth of positivity for communities all around. Those whom sit on the NY Court of Justice fail to understand the reality of modern day entertainment, often they are mislead with their old ideologies & refuse to comply with what is truly going around them in their country. This is something that has been an issue in not just this court system but every head court system across Northern America. Let’s hope that this time around, after this being the third proposal, the Court of Justice will take a serious look at online poker & legalize it for all to enjoy.